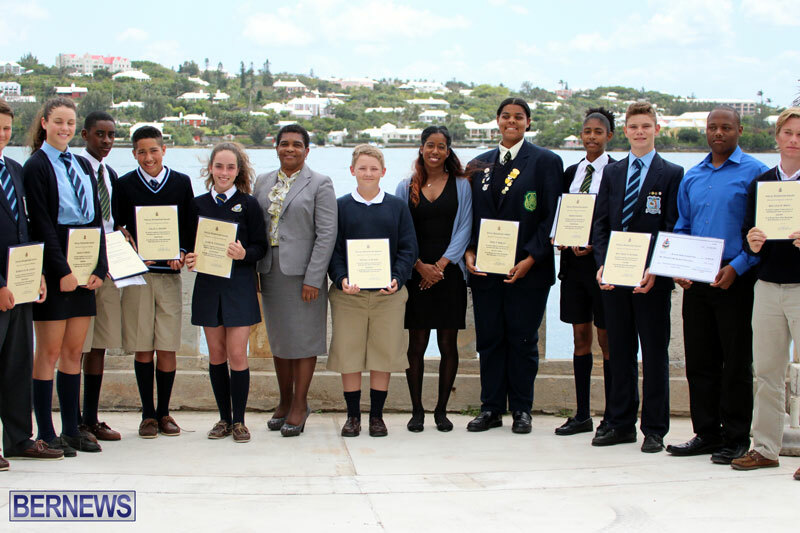 Just under $50,000 was shared among 13 of Bermuda’s Sporting Governing Bodies to assist some of the island’s most talented young athletes as the 2016 National Junior Athlete Sponsorship Programme Awards were handed out today at the Hamilton Princess & Beach Club. Athletes receiving sponsorship included Hemijah Bean, Essantae Caines, Tiara DeRosa, Sakari Famous, Caleb J Ingham, Kenneth Leseur, Amar Lewis, Madelyn Moore, Leilanni Nesbeth, Matthew Oliveira, Samuel James Resnik, Malcolm Benn Smith, and Clare Tomlinson. The speeches that were given about each of the young athletes follow below. The next National Junior Sponsorship Award Recipient comes to us from the sport of Hockey. He has been involved in field hockey since 2013. He attends the Berkeley Institute. Our recipient was a member of the Bermuda Hockey Federation Under 17 Boys National Team and had the honour of being named Captain. The BHF President, has described our recipient as a great leader with good pride and character on and off the field. Our recipient plans to play on the 2018 Senior Men’s National Team at the CAC Games and learn and master 3 high performance skills each year. He would also like to compete in the 2017 Pan AM Youth Championships which is the qualifier for the Youth Olympics. To assist our recipient with his development, the Bermuda Hockey Federation has been granted the sum of $2,846.01 for Hemijah Bean to attend the Amsterdam Top Hockey Camp 1, which includes airfare, equipment and camp fees as indicated on the application. Our next recipient for a National Junior Sponsorship Awards comes to us from the sports of Rugby. Our recipient is 17 years of age and attends Bermuda Institute. 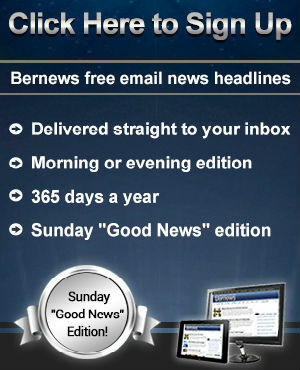 He has been involved with the Bermuda Rugby Football Union for the past five years. Our recipient has excelled locally within his school team and senior club [Teachers RFC] teams as well as internationally, with the U17 and U19 National teams within U19 Caribbean Championships. He will play a critical role as part of the National U19 team in the upcoming North American Caribbean Championships in Miami this July. Our recipient has been recently accepted to Oaklands College to pursue further education in Sports and Exercise studies towards becoming a Strength and Conditioning Coach. He has been invited to play for their Rugby Academy giving the opportunity to develop his rugby skills. To assist our recipient with his development, the Bermuda Rugby Football Union has been granted the sum of $1,833.10 for Essantae Caines to attend the North American Caribbean Championships; which includes airfare; accommodation; and gear and equipment as indicated on the application. Our next recipient for a National Junior Sponsorships Award comes to us from the Sport of Track and Field Athletics. She is seventeen years of age and attends Berkeley Institute. Our recipient has been throwing for the last four years and has represented Bermuda at two major junior athletic competitions. For the last 4 years she qualified for the Carifta Games where she steadily has improved with a 4th place finished in 2015. She has also competed in the 2015Youth Commonwealth Games held in Samoa, where she reached a personal best. However, her most outstanding achievement was when she broke Branwen Smith’s National record of 42.60m which has been standing since May 1977. Tiara has also broken the National Junior record set by Sonya Smith of 37.06m which has been standing since July 1981. Our recipient hopes to achieve an athletic scholarship from a University and to qualify for the 2020 Olympic Games. To assist our recipient, the Bermuda National Athletic Association has been granted the sum of $3,116.16 for Tiara DeRosa to attend a Throw Camp held in Atlanta, GA with Coach Don Babbit, who has worked with Olympic Athletes. This assistance includes airfare; accommodation; coaching fees and transportation as indicated in the application. The next National Junior Sponsorship Award recipient comes to us from the sport of Basketball. Our recipient has been a part of the sport for a number of years. She is 16 years old, attends the Berkeley Institute and plans to play collegiate level basketball. Our recipient has an exemplary basketball career. For example from 2013 to 2014 she was a member of the Dellwood Middle School BSSF Championship team, which she was the MVP. She was also named BSSF MVP in 2015 of Varsity Girls Basketball. In 2014 she was part of the Bermuda National U14 Girls team who travelled to a Global Cup Tournament in Florida where they placed 4th. She has been to many development camps and has shown her exceptional ability by receiving numerous awards and honours at each camp. Our recipient plans to continue to develop her shooting skills, improve her dribbling skills and become more explosive. She would like to achieve an athletic scholarship to attend a university where she can pursue an academic degree; she is one step closer to this goal as she has already received a scholarship offer from Wilberforce University. To assist our recipient with her development, the Bermuda Basketball Association has been granted the sum of $5, 144.00 for Sakari Famous to attend the IMG Academy Basketball Camp in Florida, which includes airfare, Training Fees, and transport as indicated in the application. Our next recipient for a National Junior Sponsorship Award comes to us from the sport of Triathlon. He is 12 years old and attends Warwick Academy. Our recipient has been an active member of the Triathlon Association for several years. He has grown and developed in the sport, achieving personal best locally and overseas. Our recipient accomplishments over the past three years have been outstanding. In 2013 he placed first in the Iron Kids Triathlon Race as well as placed 1st in the 2015 Tokio Marine Triathlon. He was the winner of the boys’ 11-15 age group awards for the 2015 Triathlon season. Our recipient’s goal is to compete in one overseas race per year for his continued growth and exposure. He understands that he is moving up in age category and wishes to stay focused in order to reach the podium. To assist our recipient with his development, the Bermuda Triathlon Association has been granted the sum of $5,126.27 for Caleb Ingham to attend the Canadian National Championship. This includes airfare, accommodation, race and registration fees and funds towards a Cervelo Racing Bike as indicated in the application. The next National Junior Sponsorship Award Recipient comes to us from the sport of Golf. He is 12 years of age and attends Warwick Academy. Our recipient’s golf resume speaks for itself – he has, in one word dominated his age group in Bermuda Junior Golf since he was nine years old. In December 2015, he stepped up into the Blue Tee division of the AON Benfield Fecchio Cup and won the overall title, pushing the16 year old favourite into second placed. Some other notable accomplishments that our recipient has achieved include: 2015 Junior National champion, Champion of the 2015 Glidden Bowl and the 2014 Aon Benfield Fecchio Cup Champion. Our recipient has been working with a local coach and continues to compete in local junior events; but the next stage of his development will be learning and competing overseas. Our recipient plans on participating in two elite level golf tournaments this summer- the Junior British Open and the Optimist International Junior Golf Championships. To assist our recipient with his development, the Bermuda Junior Golf Association has been granted the sum of $3,674.06 for Kenny Leseur to attend the International Junior Golf Academy Camp on Hilton Head Island, South Carolina, which includes airfare, accommodations, and training fees as indicated on the application. Our next National Junior Sponsorship Award recipient comes to us from football. Our recipient is a very talented football player as he has achieved many accomplishments during his tender age of 17 years old. He presently resides in the UK pursuing his dream of becoming a professional football player. Our Recipient accomplishments and accolades are many including being a star youth player with the Dany Town Hornets, member of the BFA’s National Academy programme which formed the U15 National Team that competed in the CONCACAF U-15 Championships in the Cayman Islands in 2013. He was the captain for that team and also won the tournament’s Fair Play Award. Our recipient was also selected for the tournament’s all-star for his sterling performances throughout the tournament. Our recipient aim is to be granted a pro- contract at Barnet FC and to continue developed his football skills. To assist with the development of our recipient, the Bermuda Football Association has been granted the sum of $4,478.66 for Amar Lewis to attend the Universal Soccer Academy in Moorestown, NJ which includes airfare, accommodations and training sessions and gear as indicated in the application. Our next recipient for a National Junior Sponsorships Award comes to us from the Sport of swimming. She is fifteen years of age and attends Warwick Academy. Our recipient has been competing in Bermuda since she was 8 years old and has represented Bermuda for the last 4 years. Our recipient achieved much success in the Carifta Games with her debut in 2012 to her lastest performance this year winning a combined total of gold 7, silver 6 and 2 bronze medals. Our recipient hopes to continue to reach the podium in future Carifta Games and to qualify for the 2020 Olympic Games. To assist our recipient, the Bermuda Amateur Swimming Association has been granted the sum of $3,178.41 for Madelyn Moore to attend Canadian Age Groups Championships held in Calgary, Canada. This assistance includes airfare; accommodation; gear and equipment and per diem as indicated in the application. Our next recipient for a National Junior Sponsorship Award comes to us from the sport of cricket. She attends Hendi Bedes Senior School in the UK and is 14 years old. Our recipient has an impressive resume in one of her chosen sports-cricket. In 2013, 2014 and 2015 she helped her Middle school Team win the BSSF 6 a Side Tournament. In 2014, she was selected as a member of the BCB National Academy Development Tour Team which toured South Africa; she also received two very prestigious awards in 2015- the Minsters Awards for Cricket as well as the Denton Hurdle Middle School Athletes Award. Our recipient has the honour of being the first Bermudian to be signed by two Professional Clubs for cricket and football: Sussex Country Cricket Club and Brighton Hove and Albon Football Club. Our recipient plans to develop and improve her game with the experience of working and being coached by level 3 and level 4 coaches, she is also looking to be offered a scholarship to a University and be the first female to be selected to play at Cup Match. To assist our recipient, the Bermuda Cricket Board has been granted the sum of $2,547.44 for Leilanni Nesbeth for airfare to attend Hendi Bede’s Cricket School in the United Kingdom between September 2016 and December 2016, and airfare for the BCB Academy Tour as indicated in the application. Our next recipient for the National Junior Sponsorship Awards comes to us from the sport of cycling. He is sixteen years of age and attends Warwick Academy. Our recipient is an accomplished athlete who has developed into an extremely capable cyclist who has rapidly made his mark on both the local and international scene. He has won several junior championships races as well as being awarded the Junior Rider of the year 2015 by the association. Last summer in his first opportunity to represent Bermuda our recipient finished seconded in both time trail and road race events at the Junior Caribbean Cycling Championships in Dominican Republic. Our recipient is not limited to just road racing as he has been the strongest of all local male riders in the mountain biking this season. Our recipient plans to compete in the 2017 and 2018 World Championships. He also hopes to be given the opportunity to compete collegiately. To assist our recipient the Bermuda Bicycle Association has been granted the sum of $3,621.00 for Matthew Oliveira to attend both the USA Cycling Development Camp in New York, and the Green Mountain Stage Race in Vermont. This includes airfare, accommodation, race and registration fees; gear and equipment and transportation as indicated in the application. Our next recipient for a National Junior Sponsorship Award comes to us from the sport of Baseball. He attends Somersfield Academy, and is twelve years of age. He has been playing baseball since the age of four under the Y.A.O. Baseball programme. His development has included summer camps with Cape Cod and Orlando Baseball Leagues. He has always excelled at the sport as a result of playing in divisions higher than his actual age. Our recipient at the age of nine represented Bermuda playing with the YAO 10-12 year old team in competitions against Boston area teams. In 2015 our recipient continued to excel, leading his Cal Ripken team in all offensive and pitching categories. He batted .693, with 31 RBI’s and a slugging average of 1.094%. He capped off his season while attending the U12 World Summer League where he was chosen as the most valuable player. Our recipient plans to follow in the footsteps of past Bermudians, Adam Hall and Braxton Stowe Jr. To assist our recipient the Bermuda Baseball Federation has been granted the sum of $4,500.00 for Samuel James Resnik to attend IMG U14 Summer League in Bradenton, Florida, which includes airfare; accommodation and training as indicated on the application. Our next National Junior Sponsorship Award recipient comes to us from the sport of sailing. He is 16 years of age and attends Saltus Grammar School. Our recipient first stepped in a sailboat at 1 year old with his father and namesake – former Olympian, Malcolm Smith. He started sailing Optis at the age of 6 in the RHADC summer program. Our recipient then moved to the RBYC soon after and continued in the after school and Saturday programmes. He competed in World Championships, South American Championships, North American Championships and other international regattas both locally and overseas as part of the Bermuda Opti Team. Our recipient became OPTI National champion at the age of 13.
and 2015 Laser full rig – 2nd overall and 1st youth. Our recipient latest accomplishment in 2016 Digicel race week laser Radial he placed 1st overall and was the 1st youth finisher. To assist our recipient with his development, the Bermuda Sailing Association has been granted the sum of $4,546.00 for Malcom Benn Smith to attend the ILCA Laser Radial Youth World Championships in Ireland which includes airfare, accommodations; boat fees; and entry fees into the championship as indicated in the application. Madam Minister, distinguished guest, ladies and gentleman. She has plans to continue to showing at “AA Horse Shows on the East Coast of the United States while attending boarding school. She also hopes to be an ambassador to Bermuda and represent Bermuda with excellence in all aspects of the equestrian sport. To assist our recipient, the Bermuda Equestrian Federation has been granted the sum of $5,304.00 for Clare Tomlinson to attend the Vermont Summer Festival in Boston, Massachusetts, which includes; airfare; accommodation; gear; equipment; coaching and event fees as indicated in the application. Congratulations to ouryoung ambassadors!!! Continued success!! Congrats to all the athletes!!! You have made us proud !!! Continue the good work all the best to you all. It’s nice to hear about the positive our young people are doing.